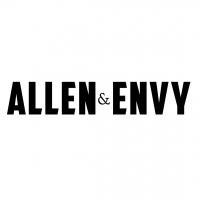 Some things happen for a reason, and some things are meant to be, the latter perfectly sums up one of the most exciting new acts in dance music â€œAllen & Envyâ€. With over 20 years combined live performance experience, a host of high profile releases individually and DJ support that most only dream of, two is most certainly better than one. There first batch of singles have been signed to â€œFractionâ€, â€œRecoverworldâ€, â€œFuture Focusâ€ Vicky Devineâ€™s â€œDE:VAâ€, Paul Websterâ€™s â€œVibrate Soundsâ€ and Dave Forbes â€œAria Knightsâ€! The duo have also remixed Scotlandâ€™s number one DJ, Mallorca Leeâ€™s new vocal release â€œHoneyâ€ which will be forthcoming on his own label MLXL. 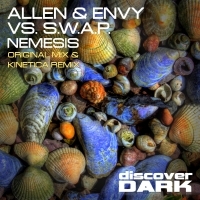 Its easy to see why the duo are in such demand, having gained individual support from the likes of Armin Van Buuren, Ferry Corsten, Paul Van Dyk, Paul Oakenfold, Tiesto, Aly & Fila, John Oâ€™Callaghan, Sean Tyas, Judge Jules and many more, and having released on labels such as Armada, Vandit, Monster Tunes, Black Hole & Fraction. With their new radio show â€œTogether As Oneâ€ launching very soon on Discover Trance Radio, a whole host of remix request, and gig requests flying in, this duo look destined for big things in 2013.